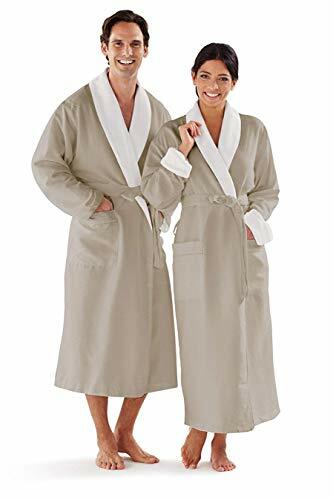 2 front attached pockets, inside belt closure, and front belt, Terry cloth water absorbent robe, for women and men, Lightweight unisex kimono style bathrobe. 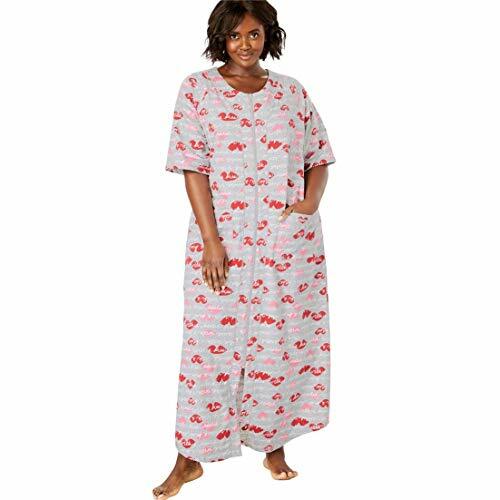 100% Brand New Pattern: Solid Decoration: Belt Sleeve: 3/4 Sleeve Style: Kimono Style Closure Type: Self Tie Occasion: Sleep or Lounge Clothing Length: Knee Length Package Content: 1 x Women Robe 3 Colors available: Gray,Blue,Black Garment Care: Machine Wash,Hand-wash max 86? Size Chart S----Shoulder:67.5cm/26.6inch---Sleeve:27.0cm/10.6inch---Bust:116.0cm/45.7inch----Center Back Length:92.0cm/36.2inch M----Shoulder:69.0cm/27.2inch---Sleeve:28.0cm/11.0inch---Bust:121.0cm/47.6inch----Center Back Length:93.5cm/36.8inch L----Shoulder:70.5cm/27.8inch---Sleeve:29.0cm/11.4inch---Bust:127.0cm/50.0inch----Center Back Length:95.0cm/37.4inch XL---Shoulder:72.0cm/28.3inch---Sleeve:30.0cm/11.8inch---Bust:133.0cm/52.4inch----Center Back Length:96.5cm/38.0inch XXL--Shoulder:73.5cm/28.9inch---Sleeve:31.0cm/12.2inch---Bust:139.0cm/54.7inch----Center Back Length:98.0cm/38.6inch Notes 1.There are 5 sizes(S/M/L/XL/XXL)available for the following listing.Please allow 1-2cm differs due to manual measurement,thanks(All measurement in cm and please note 1cm=0.39inch) 2.As different computers display colors differently,the color of the actual item may vary slightly from the above images,thanks for your understanding. Luxury spas choose the lightweight waffle kimonos for their outstanding blend of comfort and performance. The robe's crisp, minimalist lines are ideal for moving around as well as relaxing by the poolside. 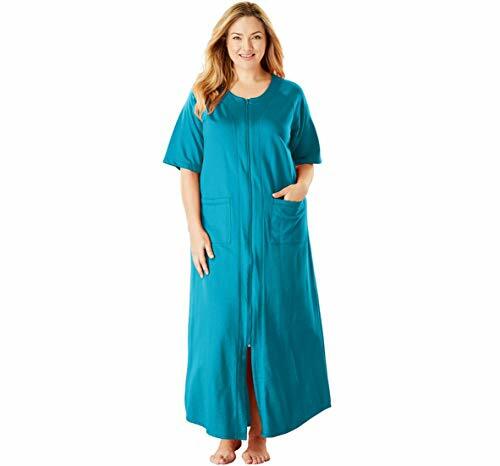 Available in three different sizes this robe is a perfect fit for all body types and sizes. 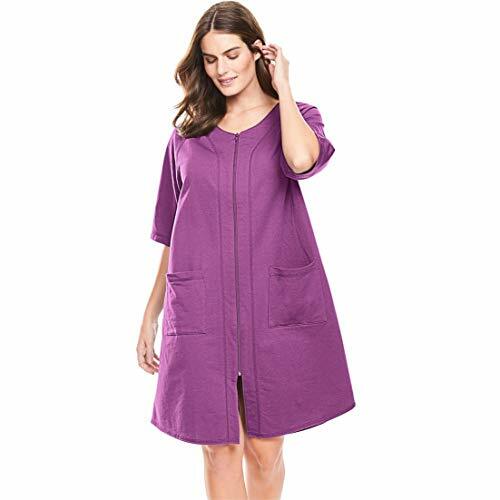 The extra large (XL) and 4XL (XXXXL) sizes provide extra comfort for women and men seeking plus size garments. The lightweight waffle is easy to wash (machine washable) and dries very quickly. In addition, the fabric won't wrinkle even if you pack it at the bottom of your carry-on. These features make this robe an ideal choice for travelers. Generous pockets are perfect for storing valuables or keeping hands warm. Great for adults of all ages this robe makes a great gift for you or your loved one. The perfect gift for all occasions including Valentine's Day, Father's Day, Christmas, Hanukah or Birthday gift. 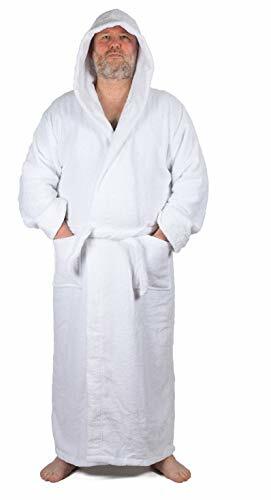 Boca Terry is the leading manufacturer of bathrobes, spa robes for men, women. Distributed to luxury hotels, spas and cruise ships all over the world. Boca Terry's soft and super durable robes are designed for maximum comfort. 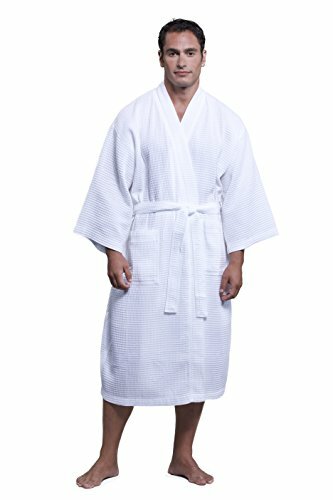 ARVEC MENS COMBED TURKISH COTTON TERRY FULL ANKLE LENGTH HOODED BATHROBE BATHROBE FEATURES 100% Turkish Combed Cotton Hooded thick full length Turkish terry cotton bathrobe Water absorbent, thick and keeps warm Full length and comfortable hooded design Unit weight 5 lbs. / pcs (approx.) / each. Two front patch pockets Cuffed sleeves (extendable for long arms) Double belt loops for a custom fit Available in 6 sizes with length up to 60 inches Made in Turkey WHY SHOULD YOU BUY IT? Arvec Men's hooded terry cloth long and thick bathrobe is made of %100 Turkish combed cotton yarn. This hooded robe is heavy, absorbent, durable and soft. Perfect for pool, bath and hot tub. CARE INSTRUCTIONS Dark colors in cold water. Light colors in warm water. Highly Recommended to avoid the fall of threads, use laundry wash bag. Tumble dry low or no heat. No bleach. No iron. Do not pull terry loops or snags - always cut with scissors. 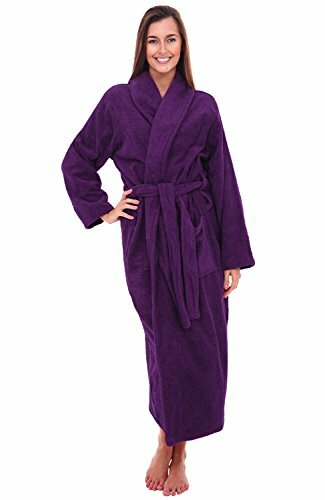 Compare prices on Plus Size Terry Robes at LiveSaler.com – use promo codes and coupons for best offers and deals. We work hard to get you amazing deals and collect all avail hot offers online and represent it in one place for the customers. Now our visitors can leverage benefits of big brands and heavy discounts available for that day and for famous brands. We try to makes comparison shopping easy with Product Reviews, Merchant Ratings, Deal Alerts & Coupons. Find Deals, Compare Prices, Read Reviews & Save Money.